This is a sponsored post written by me on behalf of Sara Lee® Bread. As always, all opinions are 100% mine. My children have a lot of food allergies and sensitivities. For us this means we pack a lot of school lunches because most of the time hot lunch contains something they cannot have. I used to think of this as a bit of a tedious chore and didn’t look forward to it. Now I know it’s an opportunity to be a bright spot in the middle of their day even though I can’t be there with them. Whether it’s packing and preparing their favorite sandwich made with Sara Lee® Bread, adding a special surprise treat, or creating a personalized note for them using Sara Lee® “Lovable Lunch Notes” website. 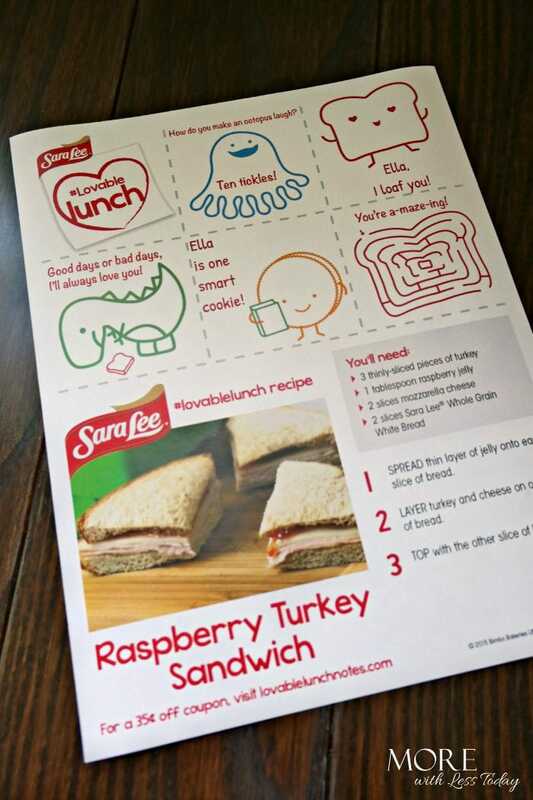 Sara Lee® Bread is kicking off the Back-To-School season with “Lovable Lunch Notes.” Lovable Lunch Notes offers free printable notes that can be customized for each child and included in their lunch boxes. 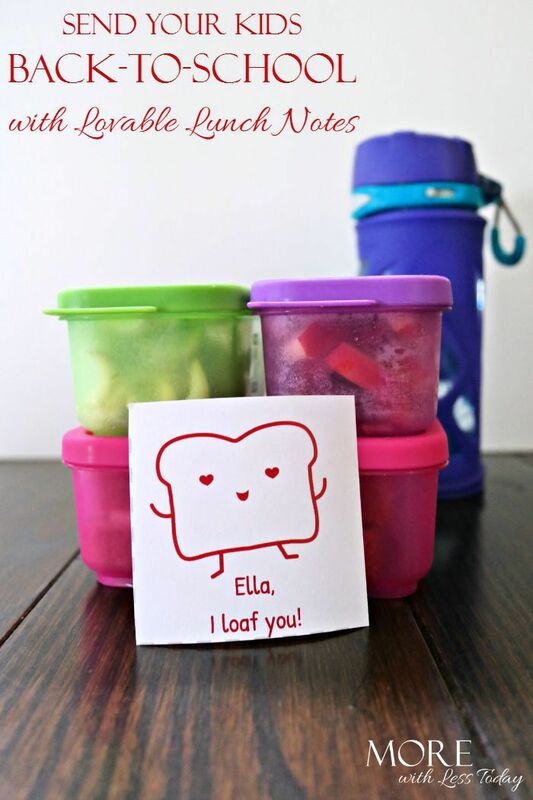 With 30 creative and fun love notes to choose from you can add a new and special note to your child’s lunch each week! Adding a special note to your child’s lunch can put a smile on their face when they might be having a rough day or worrying about a big test, can remind them that they are loved no matter where they are, or may just be an unexpected surprise or laugh! I love to know that when my children open up their lunch they never know if they’re going to find a special note. It gives them something to look forward to and anticipate. Food allergies aren’t the only reason that packing lunch is important to me. It means a lot to me to know I’m sending a healthy and delicious lunch that my child will eat. I’m always disappointed when I see so many children in the school cafeteria throwing away barely eaten school lunches. 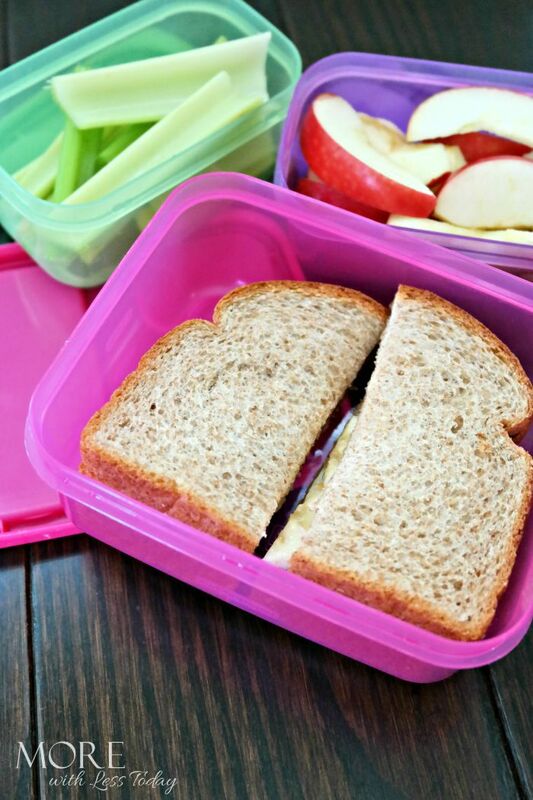 When I pack lunch for my kids I can be sure they are getting fruits, veggies, healthy snacks that they love, to go with their favorite sandwich on Sara Lee® Bread. Sara Lee® Bread is the right balance between “good taste and good-for-you” in the everyday foods we eat. With 18 different varieties there is a perfect bread for everyone. Because Sara Lee® is dedicated to baking soft and great tasting bread made with quality ingredients that have no high fructose corn syrup, artificial colors or flavors it means a great tasting and wholesome addition to my child’s lunch box. 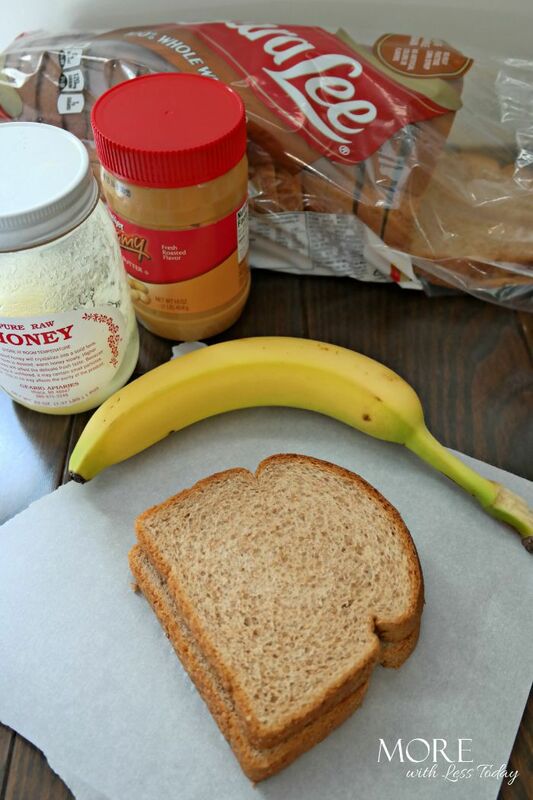 Sara Lee® 100% Whole Wheat Bread is the perfect bread for my daughter’s favorite sandwich – peanut butter, banana, and raw honey. 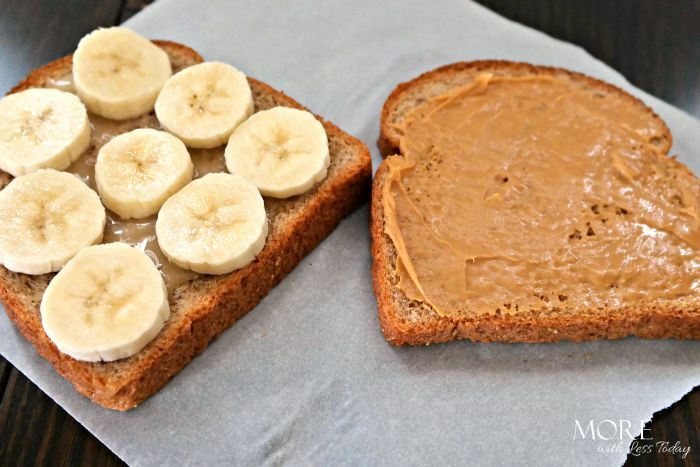 I love that this ordinary sandwich is turned healthy with fresh fruit, local raw honey, all the nutrition of peanut butter, and good-for-her bread from Sara Lee®. Head over to the Sara Lee® “Lovable Lunch Notes” website to print your love notes. They have 30 fun and creative notes to choose from and you can customize them to make your kids feel extra special. Plus there is also a great coupon for you too! The free lunch notes and coupon will be available for a limited time, so take advantage of this fun freebie now. Follow along on social media using #LovableLunch. Check out this cute videos of how lunch notes can make your kids day! This is a sponsored post written by me on behalf of Sara Lee® Bread. Those notes are such a cute idea! What a great way to remind the kids how much you love them everyday! Those notes are really sweet! I would have totally put one of those in my child’s lunch back in the day. I love the idea of notes in a child’s lunch, especially during their elementary years. We’ve packed lunches when the boys attended school as then I knew they’d eat. Love Sara Lee bread! The idea of love notes is just too cute what a great way to put a smile on your childs face. I love those notes to put in their lunches! I always preferred the lunches from home over the school lunches. My kids don’t take their lunch often. I have always wanted to leave notes for them though. I love these! They are so cute! I would definitely print some of these out for my daughter! I love this campaign! I’m going to print these out because they are just so cute. I always try to write a cute note on my daughters napkin but this would be a fun change.